If you clicked to read this, more than likely you know exactly what it’s in reference to. I’ve heard the uproar of Ranger fans since 2013 when the media made sure Josh Hamilton’s words spread like wildfire. Fans were enraged and began slamming Hamilton every chance they could, the very same fans who had been singing his praises throughout the 2010, 2011, and beginning of 2012 seasons. What in the world could possibly have turned these fans who once thought Hamilton could do no wrong into angry hate filled “Texans”? Ranger fans aren’t true baseball fans. You get the gist. 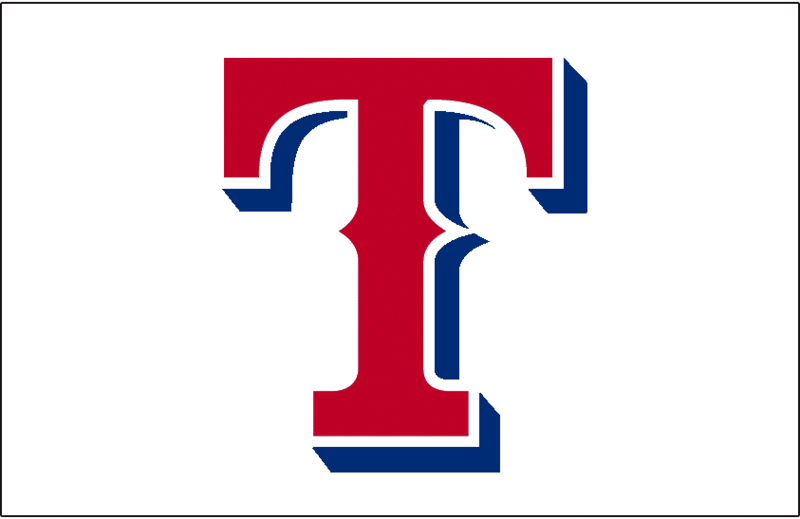 Many of my own friends, some who are die hard Texas Ranger fans, and some who had never paid attention to them until they first went to the World Series, will fight tooth and nail about how they don’t want him back on “our” team and they have no respect for him because of how he talked trash about Ranger fans. Who can blame them, though, especially the die-hard fans who are at almost every game whether rain or shine, freezing or sweltering temperatures? I mean, to say that they are spoiled and are not true fans and come from a town that’s not a real baseball town. Of course, they’re angry. They cheered him on through five seasons, and he completely bashed them. Why wouldn’t they turn their backs on him now? Oh my goodness did I really just say that? And do I really call myself a Ranger’s fan? Yes and Yes. If you’ve fallen into this group of angry fans, I want to ask you something: Where did you get your information from? Did you see a post on Facebook? Did you see a headline somewhere and became so outraged that you couldn’t even bring yourself to read the article? Better yet, did you see a headline and become so enraged that you clicked on it and read every last detail written by someone who quite possibly got their information from their own newsfeed and ran with it? I ask this because I find it difficult to believe you actually heard the interview because had you heard the interview, you would know that some of the comments above are completely fabricated while the others were pulled out of context making them mean something completely different than what was actually said and intended. What makes me such an expert? Nothing. I simply searched until I found the full interview, and although I stumbled on many transcripts of the interview written verbatim, I wasn’t going to trust the transcript without seeing the actual interview (unedited). In the process, I found an abundance of articles with comments such as those above, but I had to dig a bit deeper to find the truth. Isn’t it funny how that happens? People enjoy the lies and drama so much more than the truth that it becomes difficult to find something written that’s actually accurate? I’m including the interview in this post because I believe it’s important to watch it. I encourage you to watch the full video, but pay close attention to the time frame between 2:50 and 3:17. This is where it all came from. He obviously didn’t realize how quickly his words would be taken out of context, so he came back to clarify but to no avail. People had already accepted the media’s twist as truth and heard what they wanted to hear. And those who had put him on a pedestal had already snatched it out from under him before turning their backs on him. He did comment that the town had gotten spoiled pretty fast. First, I will say absolutely! As a fan, I got spoiled very quickly with all their wins and the constant homeruns. It became expected each game. I will not deny that nor would I boo any of the players when they had an off game. As a player, Hamilton said in a different interview (and not verbatim) that the team, including himself, had gotten a little spoiled. He said if he could go back and change anything it would be that attitude of “we’ll get it the next game” because they should have focused more on the game at hand. They had become accustomed to winning, and their dwindling effort caused it slip through their hands. I’m reminded of Proverbs 16:18 that says, “Pride goes before destruction, a haughty spirit before a fall.” This was something Hamilton reflected on and wished he could change. I believe this is what he meant when he said that the Ranger fans had quickly become spoiled. If you watch the video, you’ll see he also looked at the camera and smiled as he gave a half wink. Everything about that interview says he was not intending to be mean toward the fans. He was admitting his own downfall and that of the fans. He went on to say true baseball fans wouldn’t boo a player for playing poorly. The fact that fans became so accustomed to homeruns and wins was great but it came with some negatives, those being they expected it every time, and when they didn’t get it, they booed. He also made sure to say there are true baseball fan in Texas, but the town of Dallas isn’t considered a baseball town because it’s always been known as a football town. He said that as he said how supportive everyone quickly became (because usually DFW is centered on football). As for Dallas not being a baseball town. Come on, people. I’m from the metroplex, and I’ve lived in Texas my whole life. For as long as I remember, when talking anything about sports and Dallas it’s always been about the Dallas Cowboys. This has always been a football town and a football state with baseball coming in a close second. There is nothing in that statement that is bashing this town or his fans. You hear New York, you think Yankees; Chicago – Cubs, Las Angeles – Lakers, Dallas – Cowboys . . . It’s just the way it is. The fans went wrong when they put him on a pedestal. Have you ever said something and walked away wondering why those words came out of your mouth, or have you ever sent a text that was completely clear in your head but taken very wrong by the recipient? I certainly have. Have you ever done something that you knew was wrong and regretted it later? I absolutely have. Have you ever had those words or that action follow you for years because people can’t seem to stop talking about it even when you’ve done everything to clear up what you meant or explain to them that you regretted your actions? My hand is raised. The problem we have when we put people on a pedestal is that there’s nowhere for them to go but down. Expectations become overwhelmingly high, and when they can’t constantly be met, we become let down and often too easily we turn our backs on that person. Although my own words and actions and inaccurate rumors of words and actions have followed me for years, I pray people understand those things don’t define who I am. They don’t even define who I was. Even so, I am a different person than I was years ago. I don’t want to be judged based off of something I may or may not have done or said in my past. That doesn’t determine my worth. Do you want the negative words and actions of your past (or rumors of them) to be what determines who you are and whether people want you around or not? Even if the media’s twist of Hamilton’s words were accurate, why would you be any different toward him than what you would want for yourself? If those words were truly spoken by him 2 years ago, does that determine his worth as a baseball player, a Texan, a Texas Ranger, or a man? And mark my words . . . when he plays the heck out of some baseball in these next few months and the Rangers start winning more and more games, I guarantee you those same people who are complaining about him returning will yet again be singing his praises. . . at least I’m hoping that’s how the season turns out. More than anything, I pray he has support to overcome his struggles, and I hope not to see him fall into old habits.